Storm Potion is an independant game studio founded in 2012 by university students Jerry Jonsson and MikaEdström. We are located on the island of Gotland in Sweden, have been working together for several years and are a tight team with high standards when it comes to productivity and quality. At Storm Potion, Jerry handles all programming tasks while Mika creates the graphics, and both of us have great knowledge in game design. We are passionate about making games that are easy accessible and brings fun to the whole family. 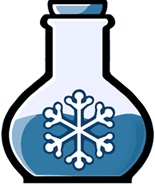 A Storm Potion game should be intuitive to play and free of any offensive content. We also take pride in developing games that doesn’t involve any racism, gender stereotypes and unhealthy beauty standards. Storm Potion develops both in-house products and commisioned work, so if you have an idea you want realized or prototyped don’t hesitate to get in contact!